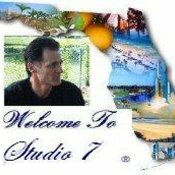 We would like to welcome you Studio 7 Galleria and invite you to browse around a little and if you have any questions, please don't hesitate to ask them. We appreciate your views and comments and welcome meeting new friends. We have been online sellers for over 10 years and have always enjoyed what we do. We are always available to answer any questions or concerns you may have, and are committed to customer satisfaction. We appreciate your business and strive to make sure all transactions are completed smoothly, professionally and efficiently. Please let us know if there is anything we can do to make your shopping experience more enjoyable. Art, Collectible Glassware, Lighters and Tobacciana, Plates and Steins, First Edition Collectible Books, Vintage Greeting Cards, Rare Medicine Bottles and Jars, Militaria, Vintage Pamphlets and Directories, Collectible Photos and Portraits, Vintage Playing Cards and Games, Old Post Cards, Vintage to Antique Razors and Shaving Related, Turn of the century Sheet Music, Sports Memorabilia, Collectible Stamps and Seals, Tools and Implements, Vintage Automotive, Kitchen Ware and Vintage Watches, Clocks and Jewelry. Chances are, if you're a collector, you'll find something you like here! We can be found in many places around the web, from Facebook to Twitter, and everywhere in between. Stop in and say hello sometime, or let us know how you found us. Be sure to visit our other two booths and look around as well, and while you're there, don't forget to leave a message in the chat window and let us know you were there. Our first Bonanza Booth, 'the7thpwr' is where we carry a wide variety of movies and games. Some of the categories include VHS Movies, DVD Movies and Video Games. If you're looking for some cheap entertainment, you want to browse our movies and games. Regular specials and great prices! Our second booth 'Florida Mercantile' is where we carry a great variety of household items, gifts, and hard to find items. Our categories there include Vintage Collectibles, Replacement China, Replacement Flatware, Art and Prints, 1st Ed Collectible Books, Hidden Treasures and our Gift shop. Whether you're looking for that special gift, or a hard to find replacement, you'll find plenty of deep discounts here! Studio7 doesn't have any items in their booth!